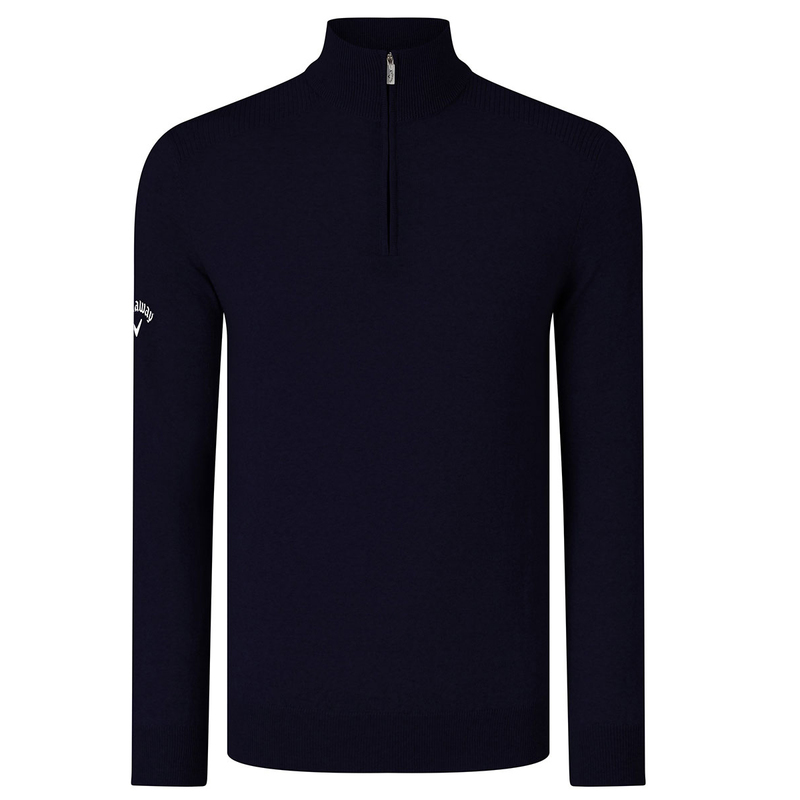 This high quality golf sweater has been constructed with 100% Merino wool, for its naturally warm and comforting properties. 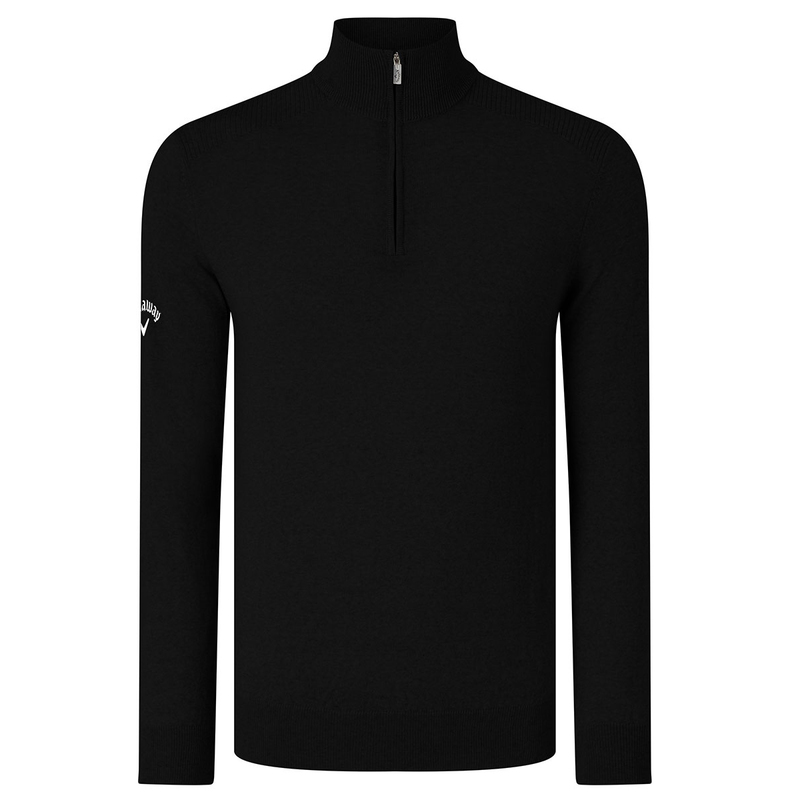 Merino is soft and fine, and will regulate your body warmth to keep you at your optimum temperature, for less distraction during your golf game. The sweater has a subtle design, with raised neck and quarter zip opening to block out any cold wind elements. The garment is highlighted with a Callaway Tour logo on the right sleeve, and Chevron on the back neck.